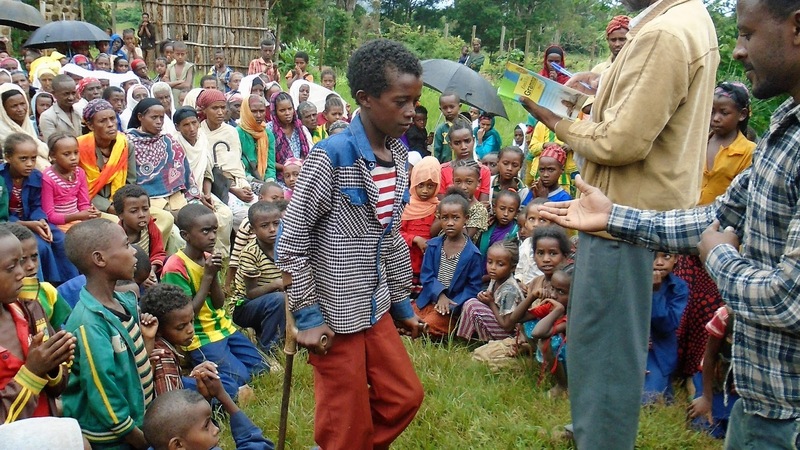 It’s challenging to get around in rural Ethiopia. The lush hills are steep, the roads dotted with potholes, and the red dirt paths slick in the heavy rain. While stunningly beautiful, this landscape can also be treacherous on foot. Especially if you’re also on crutches. Mamush was born with a disability. For the most part, he makes do, but his parents feared for his safety on the long trek to school. They also weren’t quite sure he could keep up with the other kids, so they chose for him to stay at home. Living in an economically depressed area, Mamush’s parents could barely afford to feed their five children, let alone purchase the mandatory school uniforms and educational supplies for all of them to attend school. In 2015, however, Mamush was registered as a sponsored child with Food for the Hungry (FH). As part of this program, Mamush’s parents received moral support from FH staff who encouraged them to allow Mamush to try school, even though he was at a physical disadvantage to the other children. They also received key financial support making school actually affordable. With this help, they decided to send their ten year old son to school. Because of his disability, it was difficult for Mamush to believe in himself and his potential. But he quickly proved himself, rising to the top of his class with an overall score of 98 per cent! The following year, he again excelled with another 98 per cent. Mamush’s success earned him respect in his school, as well as in the community. It’s not nothing for a child with a disability to gain such prestige. His story is one that sets an example for all children, especially those with physical challenges. They don’t have to be left behind; they can run with the best of them. His insecurities long forgotten, Mamush is confidently planning to become a doctor. At this rate, it won’t be long before he gets there! When the community gathered for their annual “child day” celebration, FH recognized Mamush for his remarkable achievement with a special award. What a loss it would have been to miss a child like Mamush, for him to fall through the cracks, unseen, just because of the conditions in which he was born.